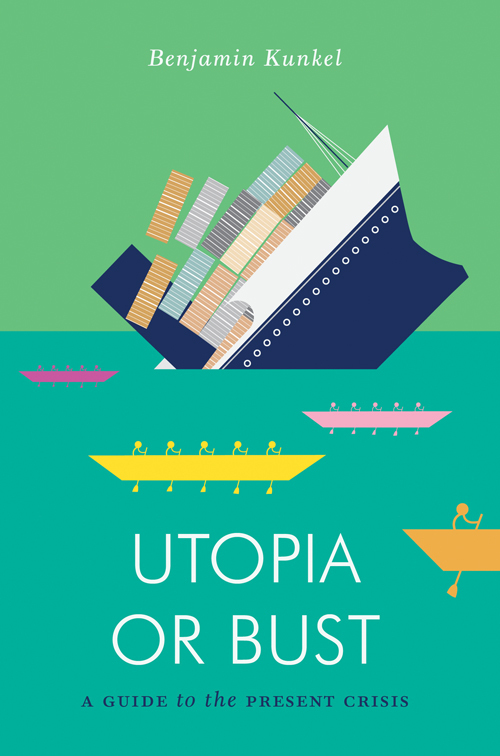 “To the disappointment of friends who would prefer to read my fiction—as well as of my literary agent, who would prefer to sell it—I seem to have become a Marxist public intellectual.” So begins Benjamin Kunkel’s new book, Utopia or Bust. With “six elegantly turned essays on contemporary Marxist thinkers”—whose introduction you can read over at Bookforum—Kunkel has become a rising star on the left. New York Magazine offers a lengthy profile of the author, describing his transition from fiction writer and N+1 founder to architect of “a sort of intellectual-historical scaffolding for his own sometimes-dreamy dissident feelings.” A thoughtful Barnes and Noble review likewise picks up on this romantic strand, calling Utopia or Bust “an invitation to dream." Kunkel expands on these ideas with Salon, reflecting on the popular backlash against socialism, the relationship between Marxism and feminism, and the unsustainability of today’s ecologically ravenous capitalism. Also in Bookforum, David Marcus connects Kunkel's approach to the Marxian political economic tradition rooted in Capital and Grundrisse, and praises his "generous and eclectic political sensibility." Praise for Kunkel has caught the attention of an American conservative organ no less virulent than Breitbart News Network, who branded him the "Lena Dunham of Literature": someone who seems to have come out of nowhere and, for better or worse, represent the struggles and ideals of millenials in the post-recession United States (this, despite the fact that Kunkel's age more accurately groups him with the Generation X, and has been living outside the US for many years). As Tom Cutterham writes in the Oxonian Review, the charade of mainstream leftist politics “has awakened a phalanx of Marxist writers who have ceased to be content with the utopias implicit in critique, and have opted instead for pragmatic engagement. We are entering the age of the radical policy wonk, and Benjamin Kunkel is its prophet."